For a taste of the true Deep South, immerse yourself in our 13-night musical road trip curated by our USA travel experts. On this luxury holiday packed full of fascinating experiences, you’ll cruise from city to city with a soundtrack to match, stay at some of our favourite hideaways along the way and experience the music scenes of New Orleans to Nashville like a local. On this exciting cultural discovery through the states of Louisiana, Tennessee and South Carolina you’ll explore the settings where musical legends made their names and some local hidden gems with our expert guides on hand. After touching down in New Orleans, you’ll be taken to your base for the next three nights. Located in the hustle and bustle of the French Quarter you’ll be staying at the Royal Sonesta Hotel, located smack bang in the central hub of the city to give you a true taste of New Orleans. Your first adventure starts in the French Quarter with your own private tour. You’ll step back in time to visit the oldest neighbourhood in New Orleans and experience the city’s main sights and it’s hidden gems. You’ll venture to Jackson Square where you can lose yourself in the quirky and charming open-air French Markets. Complete your night with the sound of authentic jazz at the Spotted Cat Music Club. Located in the eastern French Quarter, this popular venue is the perfect spot for music lovers and a favourite among locals. After a day spent exploring the French Quarter, your next adventure awaits you high in the sky. You’ll hop on board a seaplane to experience an epic journey where you’ll see unforgettable views of the city. Your expert guide will point out the serene landscape of the Mississippi River and the famous Superdome. You’ll touch down in Kraemer and then travel onto the Cajun Village, that’s nestled right in the heart of South Louisiana’s Plantation country. You’ll spend the rest of the day wandering around the scenic grounds to admire the restored Acadian houses. Make sure you sample the region’s famous beignets; a deliciously sweet doughnut famous in this part of town. For your final night in New Orleans, be sure to get a restful night’s sleep as the next day you’ll hit the road and venture on a five-hour drive up to Memphis. The birth town of soul and rock ‘n’ roll, Memphis has welcomed legendary names that include Elvis Presley and Johnny Cash. There is no better place to heal your blue souls than in Memphis. Grand on every scale and decorated with a lavish interior, you’ll be spending your next two nights at the Peabody Hotel. After settling in, start your Memphis adventure at the iconic Beale Street, the birthplace of the first blue notes. 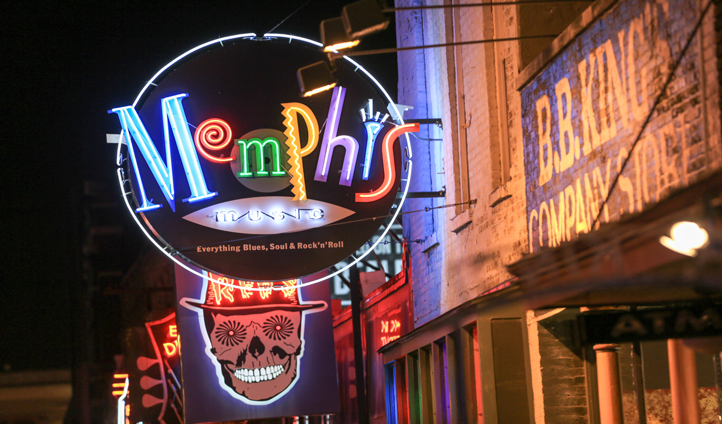 Home to the history of legendary musicians, you’ll embark on one unforgettable private tour visiting Memphis’s most popular musical attractions. Find yourself in Graceland, home to the one and only Elvis Presley. Take a journey through his personal side and learn how his unique style and culture soon became a revolution in the world of music. Head over to Sun Studio, the recording studio birthplace of rock and roll. Be sure to squeeze in a visit to the Stax Museum of American Soul, the only museum dedicated to preserving the legacy of American Soul Music. To finish off your weekend adventure in Memphis, we’ll arrange for you to experience a quintessential Southern Sunday gospel service at the Tabernacle Church. One of the most fascinating cultural experiences, prepare yourself for an inspiring service that finishes with a powerful choir filling the room with soul music. A truly unique experience. From Memphis, you’ll cruise on down to Music City, aka Nashville, a city that lives and breathes music. Unwind for two nights at the stylishly modern Hutton Hotel in downtown Nashville, the perfect spot to dive into Nashville’s diverse music scene. Wander down the vibrant streets that are bursting with an abundance of restaurants, bars and different music genres. For your first day in Nashville, your adventure will begin at the Country Music Hall of Fame. From there you’ll take a guided private tour of the historic RCA studio, a unique location where legends like Elvis Presley and Chet Atkins recorded. Complete your music-filled day by heading over to the Johnny Cash Museum and learn all there is to know about this legendary music icon. Next up you can indulge your senses with a private tour of the famous Yazoo brewery where you can watch how the beers are made and learn about the history of this small brewery. Of course, no trip to Tennessee would be complete without visiting the Jack Daniels distillery. In Lynchburg, we’ve arranged for you to take an exclusive tour of the distillery and learn all there is know about the story of Jack Daniels – with a few tastings along the way. For your last night in Music City, we’ll show you one of Nashville’s up and coming neighbourhoods. Filled with a quirky yet charming character, The Gulch neighbourhood once stood as the city’s railroad terminal. Perfectly combining its industrial background with a modern contemporary style, it’s easy to see why this neighbourhood is becoming a favourite amongst local trendsetters. Wine and dine in some of our favourite local spots and finish the night with a cocktail in hand sitting in one of the many vibrant bars as you soak in your final sights of Nashville. Now it’s time to escape the city and drive to Walland where you’ll hideaway at one of our favourite countryside escapes. Cosily nestled away in the Great Smoky Mountains, your home for the next few days is the ultra luxurious Blackberry Farm. Explore the gorgeous surroundings, freewheel through the scenic byways and back roads, or take it up a notch with white water rafting on the untamed Big Pigeon River. After a couple of days of pampering and soaking in the gorgeous surroundings, you’ll make your way to Charleston, your final stop to complete this epic road trip. 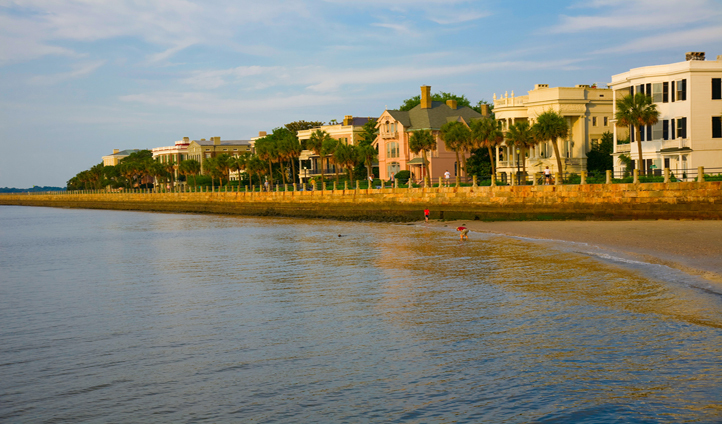 From what was once a seaport, Charleston has developed into a wealthy and prospering city. With so much to do and see in Charleston, we’ve placed you in the heart of Charleston at the Hotel Belmond for three nights. Drive, walk or cycle over the Arthur Ravenel Bridge where you’ll be graced with mesmerizing views of the calming Cooper River. Enjoy an early evening walk in the sand on the Isle of Palms. Soak in the ocean views that surround you and only being a 24-minute drive away from downtown Charleston, you’ll be back just in time for dinner. For Charleston’s best breakfast, find yourself at Folly’s Lost Dog Cafe down at Folly Beach where you can enjoy classic American pancakes as you sit on the porch of the old beach hut. For the urban art lovers, take a quick drive by on James Island and find a series of graffiti murals that secretly lies behind an abandoned old strip mall. Explore the Charleston city market where you’ll find hand-made crafts and all sorts of southern spices that you can take back home if you’re ever craving the southern cuisine. For a final experience on your road trip, get ready to explore the city with a personalized treasure hunt that our guides will set up for you. As you solve the hidden clues around the city, learn about and explore Charleston’s historical sites in the most interactive way possible.